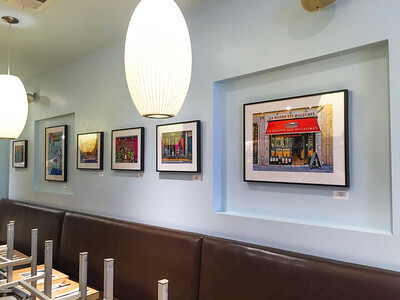 ON DISPLAY AT THE SOUTHPORT GROCERY & CAFE: 12 photos from my 'Paris Collection' are now on display until November 2016, part of the Cafe's 'Drink Up Art' program, installed last Thursday. For those in the Chicago area, drop by the Cafe Monday-Friday 7am-4pm and Saturday & Sunday 8am-4pm. Gourmet groceries and delectable food! Located at 3552 N. Southport Ave., Chicago, IL. ON DISPLAY AT THE SOUTHPORT GROCERY & CAFE IN CHICAGO. 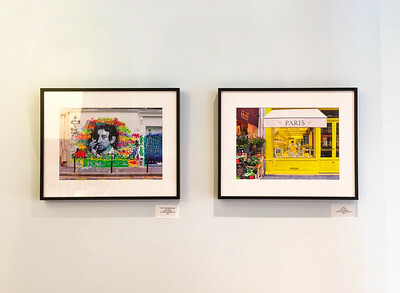 'Tribute To Serge [Gainsbourg],' Paris 2013, and 'Paris,' Paris 2013. 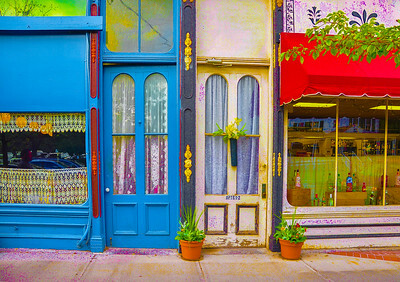 "Doors On Main Street," Trumansburg, New York, 2015. 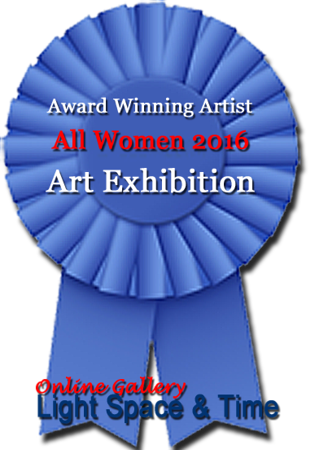 Special Merit Award, All Women Art Exhibition, January 2016. 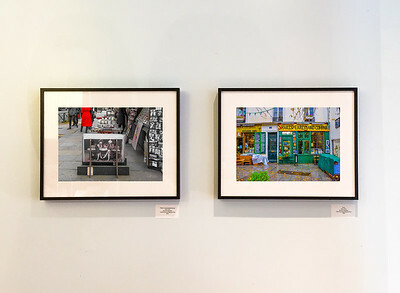 'Les Femmes,' Paris 2016, and 'Shakespeare & Co.,' Paris 2010.